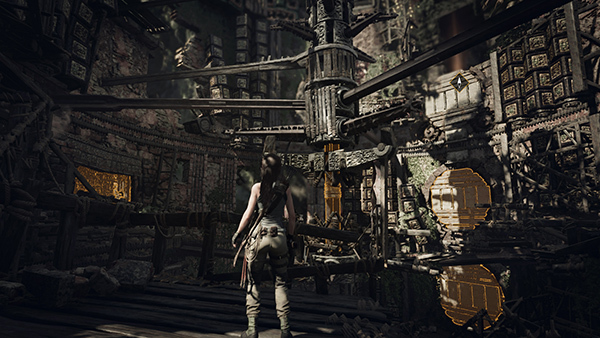 As Lara approaches the ruined tower, she contacts Jonah on the walkie, saying she's reached the next trial which appears to have something to do with the wind. 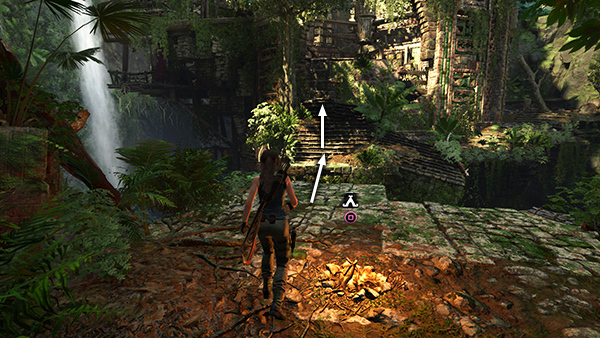 Jonah tells Lara he's following an underground river to the west. Drop down behind the broken stairs to find some supplies. 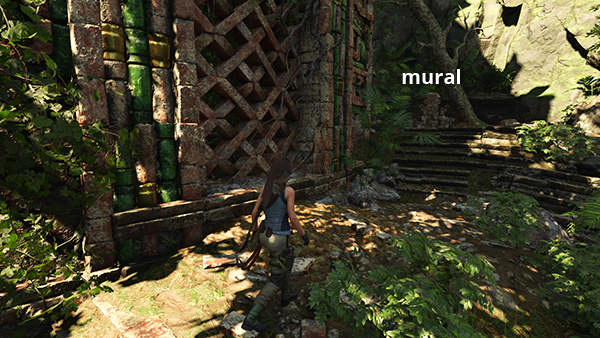 Then follow the ledge around the base of the tower to the right to discover a mural (1/2), Crumbling (Mam Dialect/Exodus Story). 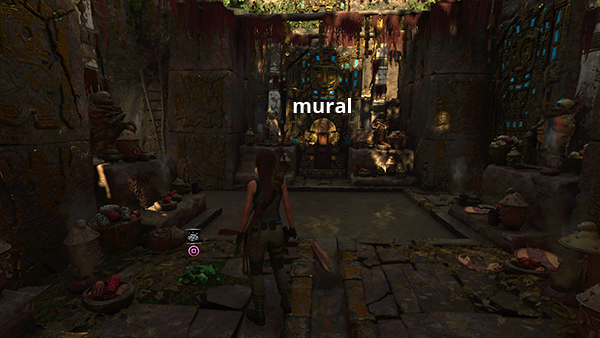 (screenshot) There's also a survival cache (1/1) buried next to the mural. (screenshot) Return to the stairs and jump/climb up into the tower to get a look at the trial ahead. 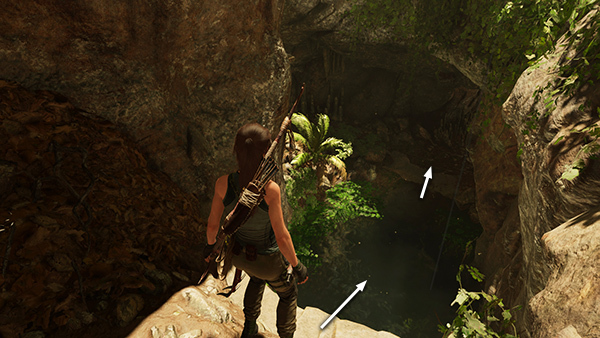 COMPLETING THE TRIAL: If you have Survival Instinct enabled, you can see where you're headed first: the rotating panel high on the wall to the right, as well as which parts of the huge, wind-powered mechanism you can interact with. 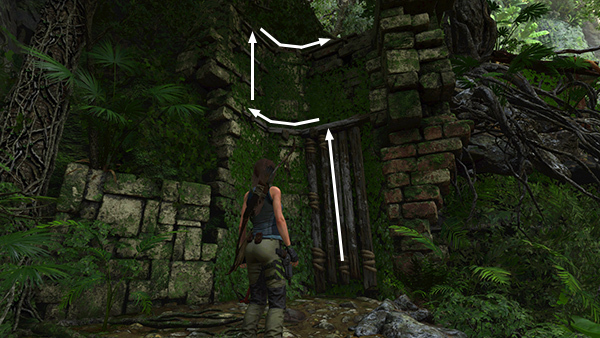 (screenshot) In order to proceed further, you'll need to activate the parts of the machine that aren't working yet. 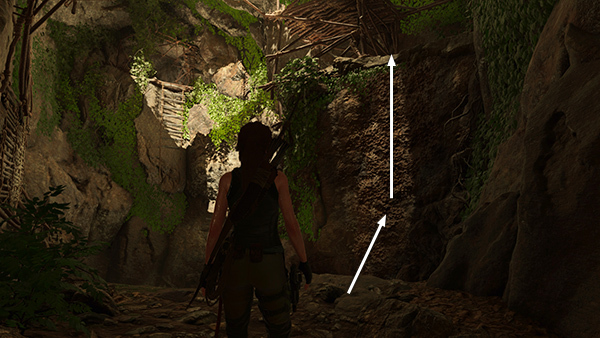 THE PATH TO THE HIDDEN CITY: Exit through the passageway at the back left corner of the temple. Follow the tunnel to its end above a small pool. Dive in and climb out on the other side. 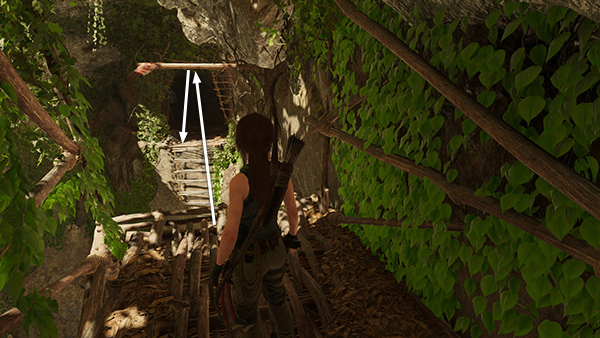 (screenshot) Continue to a cavern with wooden ladders and climbable walls. Jump across the gap to the climbing wall on the right, and climb to the top. (screenshot) Loot a resource container sitting in a little dead-end passageway on the right. 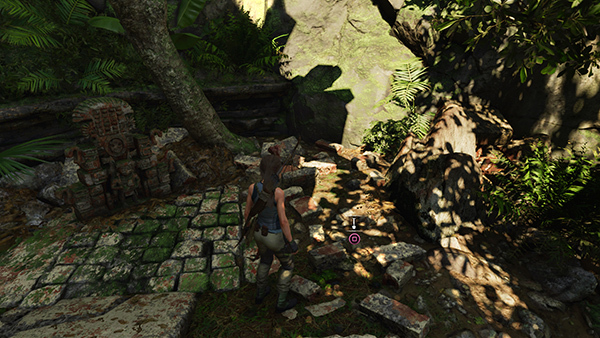 Then scramble up the wall and climb around to the left to get on top of the wooden platform. 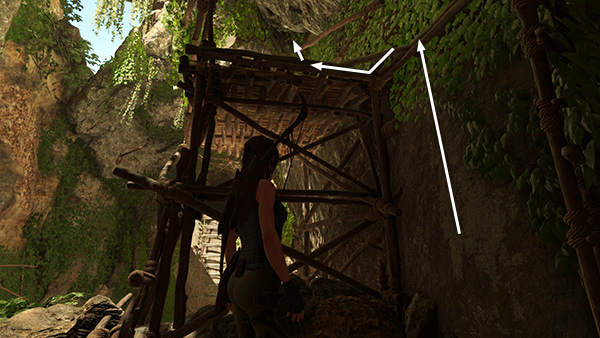 (screenshot) Use the horizontal bar jutting out of the cavern wall to swing over to the doorway above the ladder. 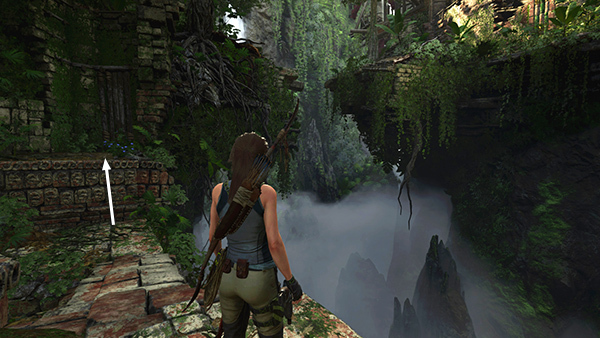 (screenshot) Proceed through the tunnel to emerge on a high cliff above a green valley.